Should You Choose a Coat with Two Different Kinds of Fur? When selecting a type of fur for your new fur coat or fur cape, you have a number of different options. Luxury furs in Chicago are a popular choice for winter coats, and with so many different options, furs are a suitable choice for your everyday wear during the winter. Furs such as mink, fox, rabbit, and chinchilla are among some of the more popular choices due to their softness and warmth. Many of these types of fur come in different colors as well, so you can choose one that matches your own personal style. While many fur coats are exclusively made in one type of fur, coats with two types of fur are increasingly more common—for many reasons. Continue reading to learn more about the benefits of coats made of multiple types of furs. Traditionally, fur coats have been made of one type of fur and have usually been one solid color. 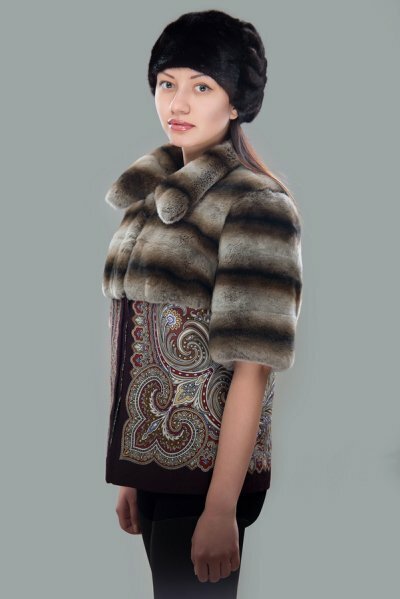 By using more than one type of fur, you are able to create a more one-of-a-kind look. A fur coat made mostly of one type of fur with a trim in a different fur can be a welcome change from a solid color fur. A fur coat with two types of fur is almost like having two fur coats in one. You can have the benefits of two kinds of fur, all in one coat. A coat made of a standard type of fur with a more luxurious fur for the trim creates a practical coat that can be dressed up or down. By having one coat that can be worn in any occasion, you can increase the value of your investment.